September is finally here! Of course the temps are still soaring in the high 90’s, but I am dreaming of flannels, bonfires and all things pumpkin spice. Fall is such a wonderful season and I am looking forward to the weekends filled with fun activities around Dallas/Fort Worth. State Fair of Texas – Bring your appetite and head to the fair from September 28 – October 21. Mainstay Farm – Every Saturday & Sunday from September 29 – November 4. 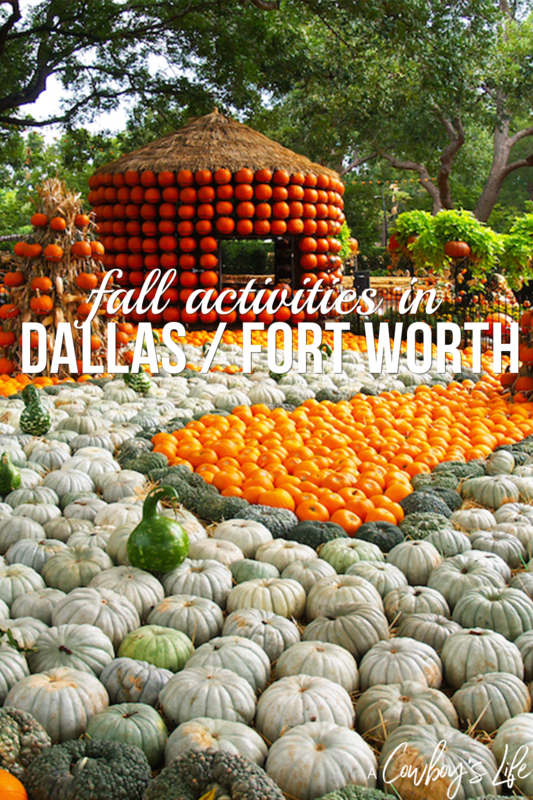 Autumn at the Arboretum – The Dallas Arboretum pumpkin village is on display from September 22 – November 21. Boo at the Zoo – This family friendly event at the Fort Worth Zoo happens October 23-25. Fort Worth Oktoberfest – At Panther Island Pavilion from September 27-29. Six Flags Fright Fest – The park turns into a spooky place from September 22 – October 31. Celebrate Roanoke – The 13th annual festival is on October 13.